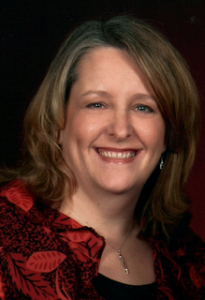 Misti earned her Master of Arts degree in Marriage & Family Therapy from the University of Houston- Clear Lake where she was trained in Emotion-Focused Therapy with Brent Bradley, PhD, LMFT . She is a Licensed Marriage and Family Therapist in the state of Texas. She also earned an Associate of Science degree in Home Economics at Rose State College and a Bachelor of Science degree in Family and Consumer Studies at Southern Nazarene University in Oklahoma. In addition to working at this practice, Misti has also worked as a Contract Therapist for Shield Bearer Counseling Centers in Cypress, Texas. Misti is a certified facilitator and group facilitator for Prepare-Enrich, a nationally recognized marriage preparation and enrichment program. She is also a volunteer Financial Counselor with Gloria Dei Lutheran Church, Nassau Bay. Misti passionately believes in the Biblical definition of marriage and is able to incorporate the client’s faith in sessions when requested. She works with couples in the areas of premarital counseling, resolving couple conflicts, building on existing strengths, recovering from affairs, and forming secure connections between partners. With families, Misti works to assist families in successfully resolving lifecycle transitions, separation, divorce, parenting conflicts, blended family concerns, and extended family conflicts. She also works with individuals to assist them in managing anxiety and depression, build a strong self-concept, and improve their daily functioning.With a strong foundation in her faith, Misti enjoys helping individuals who desire to resolve their conflicts of faith, feelings of guilt and shame, and to resolve relational conflicts through forgiveness and, when safe, reconciliation. She looks forward to facilitating groups that focus on faith-building, forgiveness & reconciliation, re-nesters, and, parents concerned about their addicted adult children. She also looks forward to serving her community with educational presentations and speaking engagements. Misti serves on the Executive Boards of The Bay Area Net and the Houston Chapter of Christian Counselor of Texas, which are professional organizations and attends training workshops to continue improving her therapeutic knowledge and skills and ensuring she stays informed of new research and techniques. Misti is blessed to be married to her best friend, Kenneth. They live in Clear Lake with their dog and cats. They have five grown children and seven wonderful grandchildren. They enjoy spending time with family and friends, traveling, shopping for antiques and collectibles, and gardening. They are active members of Gloria Dei Lutheran Church in Nassau Bay and serve in several volunteer positions.